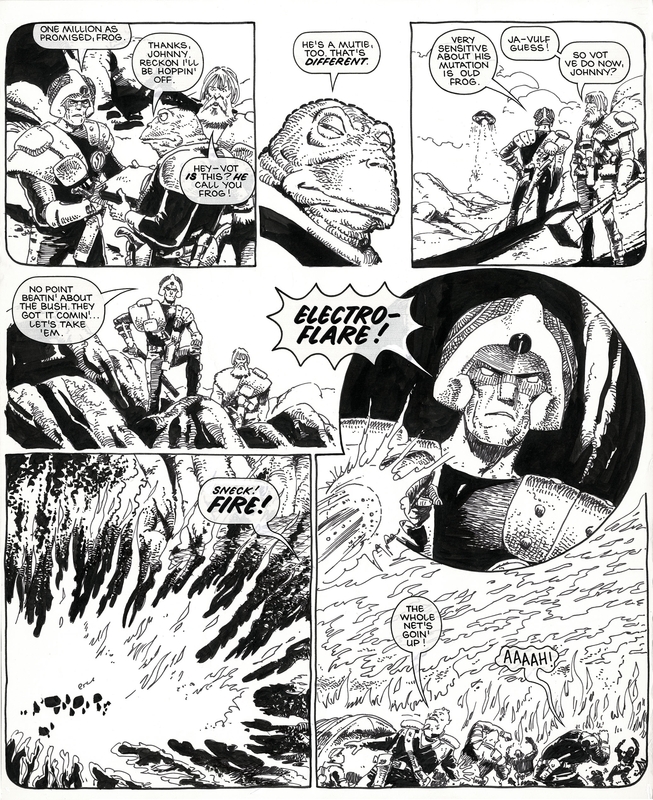 Great action page from 2000ad prog 434,page 12, cover date 7th September 1985. Featuring Johnny Alpha and Wulf Sternhammer under fire and in action in 'The Slavers of Drule'!!! Art is 45 x 36cm, active art area is 42 x 34cm.